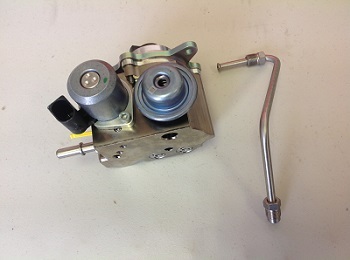 High Pressure Fuel Pump R55 R56 R57 R58 R59 R60 R61 MINI Cooper and Cooper S. These high pressure fuel pumps are known to fail causing hard start or rough running conditions. This is a mechanical pump driven off the intake camshaft. The pump produces extremely high fuel pressure and if not operating properly will cause many running issues. Select engine option to be sure you get the correct fuel pump as there are two different fuel pumps for the different engines. 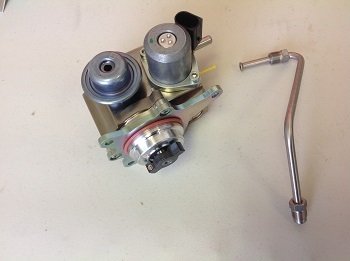 Also select the fuel pump line option, MINI recommends replacing it each time you replace the pump to prevent leaks.